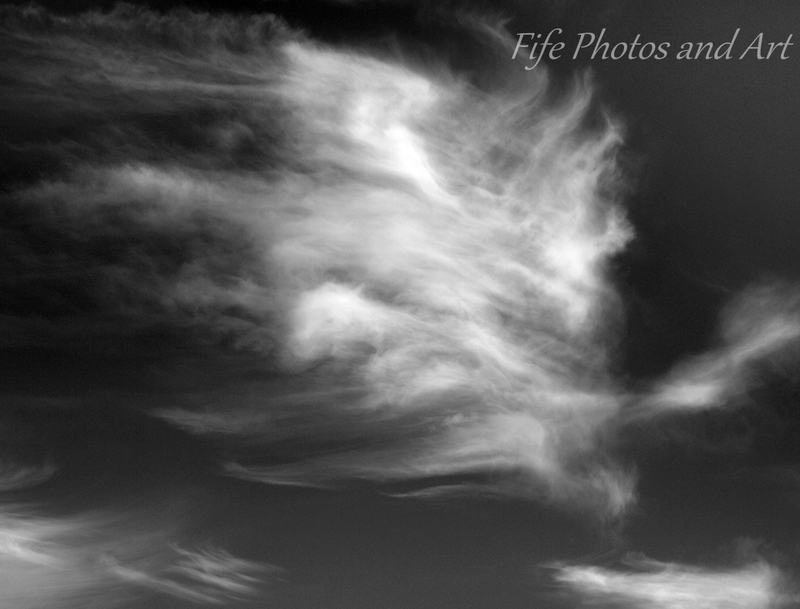 This entry was posted in Fine Art Photography, Weather and tagged cloudscapes, Fife, nature, Scotland. Bookmark the permalink. It is so easy to get lost in clouds, to look at them and to let the mind wonder, beautiful photos. 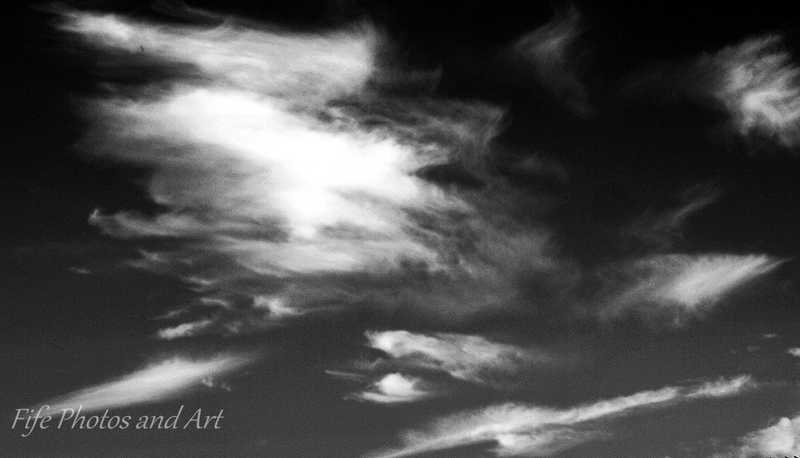 Nice contrast with the black and white – it brings out the feathery texture. Love the second one particularly! Almost 3D. Very lovely, and so well captured. 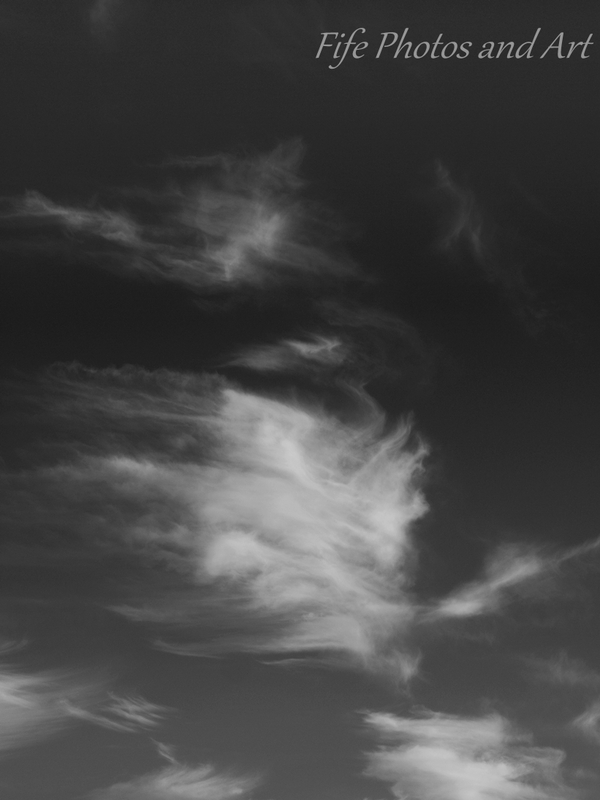 The wispiness of Cirrus clouds never fails to captivate. Clouds always catch my eye. I like the way you’ve posted these pics in black and white. Nice touch. 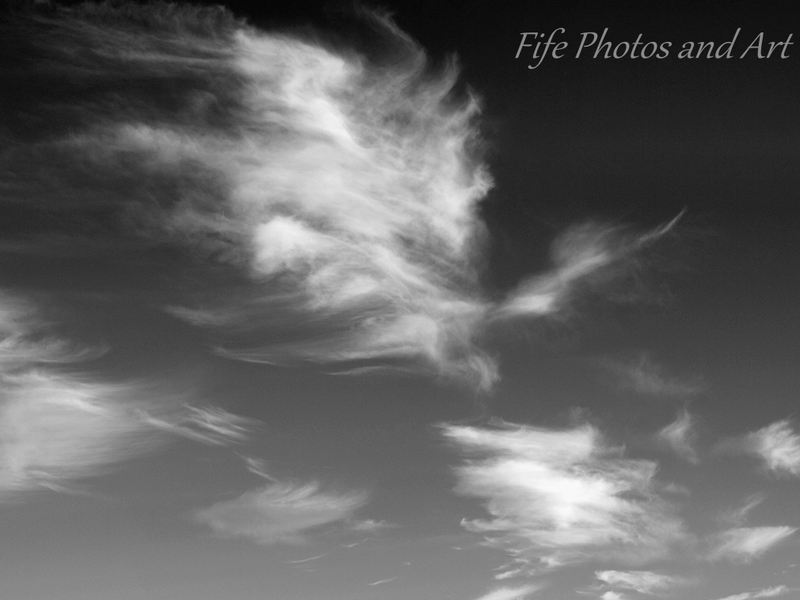 Thanks Peggy 🙂 I find that quite often clouds look much better in B/W rather than colour for certain images. 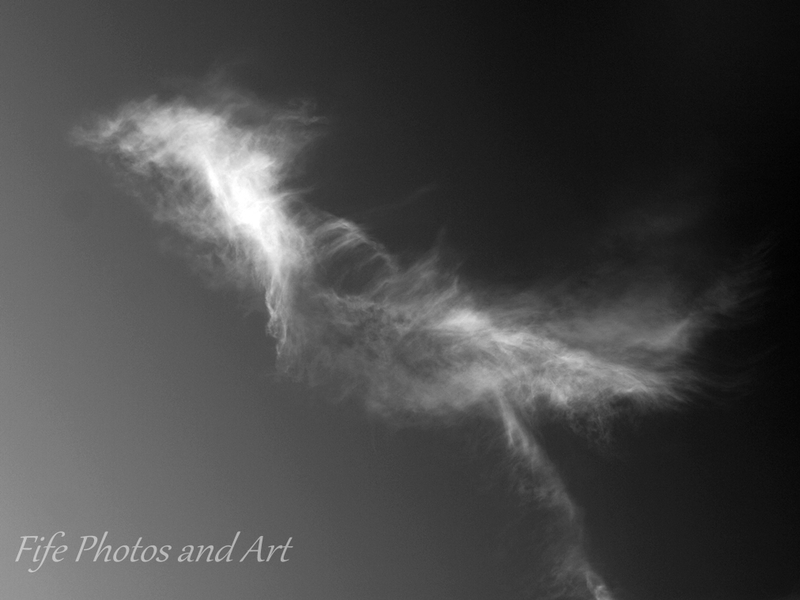 These photo evoke memories of lying on my back on the grass looking up in into the sky imagining all kinds of shapes and figures. Still do a bit of that. 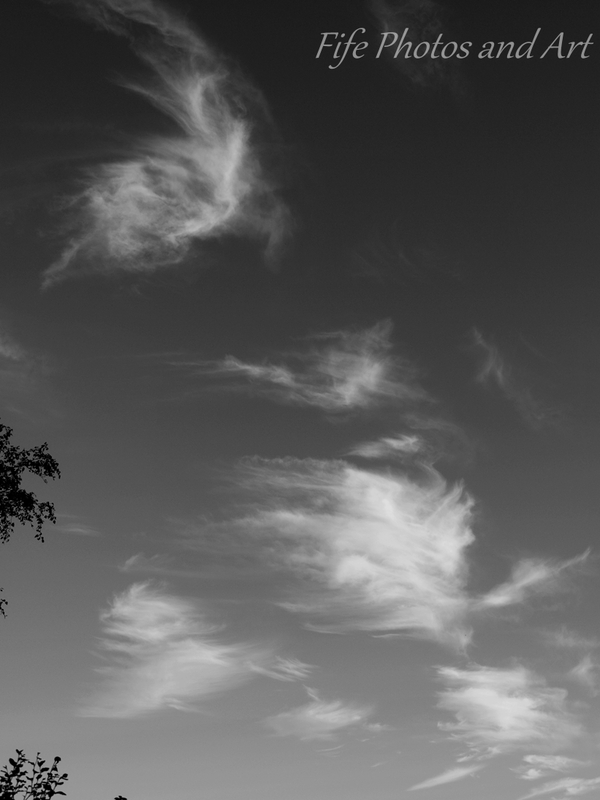 Some of these wispy ones that resemble mare’s tails can be a predictor of rain in these parts. Is it the same up your way? Dramatic and beautiful, very nice job. I could look at the sky all day and all night. Thanks Sharon 🙂 The sky can be an amazing place! !